Do you or a loved one currently reside in a Nursing Home or Assisted Living Facility in Summerville South Carolina? Nursing Home Abuse and Neglect cases are some of the most unfortunate cases to deal with. We trust Nursing Homes and assisted living facilities to take care of a vulnerable segment of our population and when they do not do their job it can be devastating. Nobody wants to learn that their loved one is being subjected to any form of Nursing Home Abuse or Neglect. It is important to take quick action and find an experienced Summerville Nursing Home Attorney if you suspect a loved one could be subjected to any form of Nursing Home Abuse or Neglect. An elderly adult is usually living in a Nursing Home because caring for themselves has become unmanageable. They are often suffering from physical ailments as well as memory issues. For this reason, it can be very difficult for them to report Nursing Home Abuse or Neglect as they may be disoriented or confused. The reality is that many cases of Nursing Home Abuse or Neglect go unreported. Because there are different types of Nursing Home Abuse and Neglect, the signs can be difficult to identify. 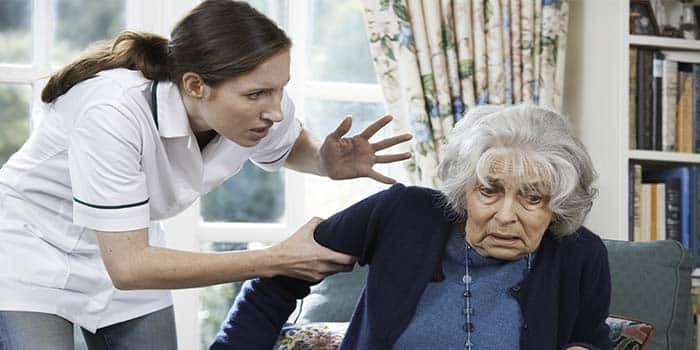 Nursing Home Abuse or Neglect can take the form of physical abuse, emption abuse, or sexual abuse. Often times Nursing Home Staff may attempt to provide explanations for certain signs you may question them about, which can make things confusing. Some of the most common signs and injuries of Nursing Home Abuse are listed below. It is important to stay vigilant and take action quickly if you believe a loved one is experiencing Nursing Home Abuse or Neglect. The effects of Nursing Home Abuse and Neglect can be disturbing and range from long lasting disabilities to death. Reported suspected Nursing Home Abuse or Neglect can be overwhelming, and dealing with an investigation and navigating the area of law can be stressful. Get an experienced Summerville South Carolina Nursing Home Abuse or Neglect Lawyer on your side. The Green Law Firm is experienced in these types of cases and will fight to ensure your loved one is treated with the dignity and respect they deserve. The sooner the Nursing Homes and Facilities responsible for these outrageous crimes are held accountable the sooner you can be comfortable knowing that your elderly loved one is being properly cared for.